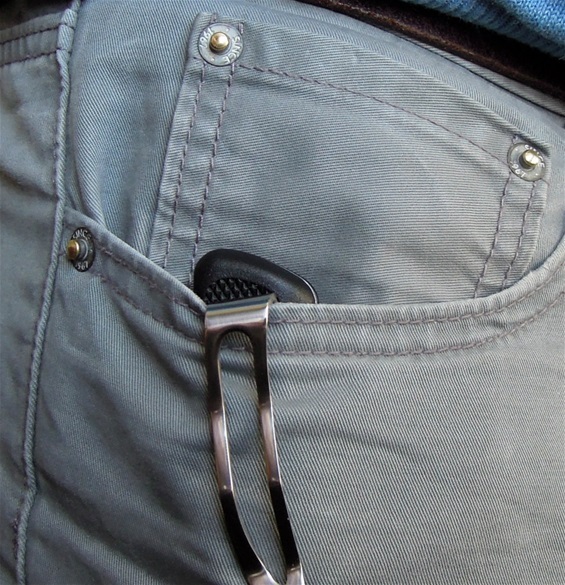 In 2008 Wenger introduced the pocket clip or RangerClip. This is a smart function because it will make it possible to attach the knife on a belt, pocket or other applications for safety. I remember it was mentioned that Wenger put much work into this feature to make it as best as possible for comfort. The clip itself is attached in a solid way so there is no wiggle or play at all. The Ranger 130mm category is large so most will have it in a backpack or in a pouch. With a clip then it can attached in more versatile ways. The model on the pictures is the RangerClip 61 that is for me one of the best models. 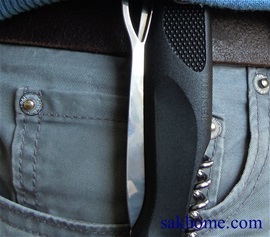 The thickness with the main functions and the clip is comfortable and not too thick to hold. It is a lightweight tool and it is for me a good product. 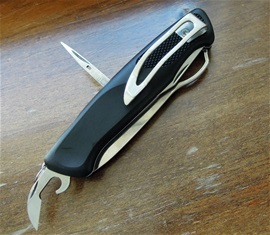 This knife can be opened with one hand and with the clip carry it can be secured on the body when in a boat or in a kayak. 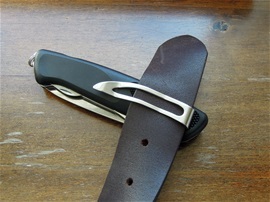 A clip carry and OH blade can be useful for people that work standing on a ladder because it can be opened with one hand and it ready to grab without having to reach into a closed pocket or pouch. The design of the clip is interesting and it got a nice shape. It is very well rounded so it is not edgy and sharp in the hand. There is a good tension in the metal and it is designed well into the evolution shape of the handles. can be used on wider belts than this too. There are many different knife brands today with different clip designs. I feel Wenger made an interesting and joyful product. 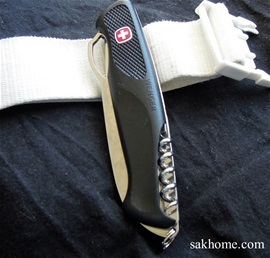 Clip carry systems are not used much on Swiss Army Knives. There are not many at all. It is fun and interesting that this could be incorporated into SAK. On a leather belt. Tight and secure. Very secure and tight on a life jacket type belt. Clipped over both layers. Hi,thank you for post. I agree!